THE GOVERNMENT HAS boosted its chances of survival for now after two Independent TDs announced they will agree to support Fine Gael in crucial Dáil votes. It comes after the resignation of Minister for Communications Denis Naughten earlier this week created a headache for the party’s minority government. Dáil arithmetic means the government requires at least 57 votes to pass legislation, but the recent departure of Peter Fitzpatrick from Fine Gael saw the party become even more reliant on Independents to remain in power. However, it has emerged that two more Independent TDs, Michael Lowry and Noel Grealish, will now agree to formally support the government. The Irish Mail On Sunday reports that Lowry has publicly pledged to support the party, having done so informally on a number of occasions already. Meanwhile, Galway West TD Noel Grealish released a statement last night to say he would agree to support the government during what he says will be a “crucial stage” of Brexit talks. “Ireland is now entering one of the most critical and uncertain phases since the foundation of our state and it is in the best interests of our country as a whole that we have a stable government at this crucial time,” he said. Grealish also revealed that he met with Fianna Fáil leader Micheal Martin, who wrote to the Taoiseach following Naughten’s resignation to agree not to force an election, adding that there was a “compelling public interest” for his support of Fine Gael. It means that Fine Gael, which has 49 TDs, is supported by four Independent Alliance TDs, independent minister Katherine Zappone and former minister Sean Canney, as well as Lowry and Grealish. 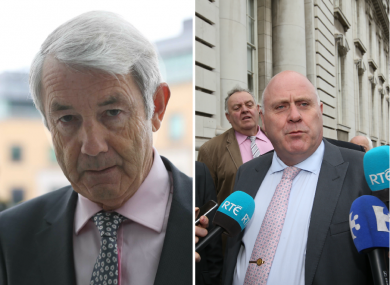 Following their resignations, Naughten and Fitzpatrick both said they would deal with the issue of supporting the government on a case-by-case basis. The first vote under the new arrangement will take place this week, when the government seeks approval for the appointments of Richard Bruton as the new Minister for Communications, Joe McHugh as the new Minister for Education and Seán Kyne as the new Chief Whip. Email “'There is a compelling public interest': Two more Independents will support Fine Gael in key votes”. Feedback on “'There is a compelling public interest': Two more Independents will support Fine Gael in key votes”.